Walmart is a place where you can knock out a ton of toys on your shopping list this Christmas. Right now when you head over to Walmart.com and include #parent2parentcontest in any review on Walmart.com, you’ll be entered to win a $50 eGift card contest where new winners are chosen every week through 12/31. So, grab some toys for your kids, leave a review on Walmart.com telling what you think, and you could win a $50 eGift card and buy something for yourself! If you’re looking for some gifts for your kids, I have some suggestions for you. 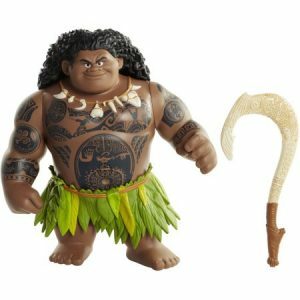 This Walmart exclusive figurine is the new hero character in the new Desney Moana film out this season. Mega Maui is 16 inches high, 14 inches wide and when you press his necklace, he said 12 of his hilarious movie phrases. The LeapStart interactive learning system is designed to help build key skills and challenge kids to get ready for their next step in learning. Get kids excited about everything from counting to creativity, phonics to problem solving, and shapes to social skills with replayable activity books bursting with fun on every page. It’s great for kids age 2-4. 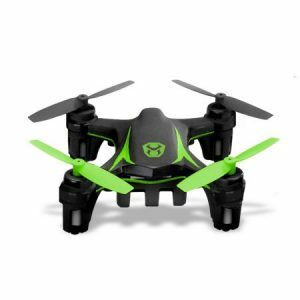 This drone is a good gift for bigger kids (or even adults). Fourth generation m500 Nano Drone is updated with all new Flight Assist Features including Auto Launch, Auto Hover and Auto Land! Flight Assist features leverage avionics technology for performance, precision and stability to make learning easy for those new to the world of drones. This post is sponsored by Walmart, but all opinions are 100% my own.